Carver students attend FCSC's annual Sports Night! 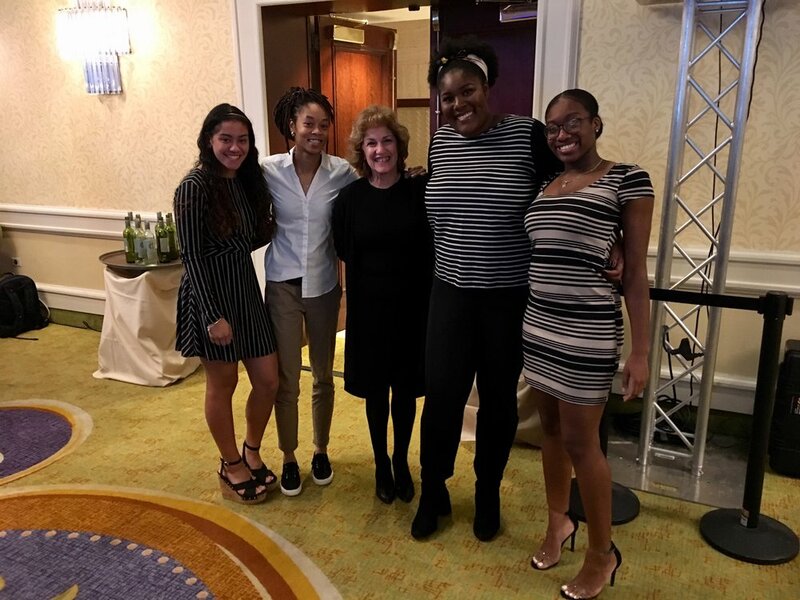 The Fairfield County Sports Commission gifted Carver students (members of our Girl’s Development Program) with a table at its annual Sports Night gala at the Stamford Marriott last Monday evening. The focus of the Fairfield County Sports Commission is creating and supporting programs for fitness awareness education, primarily geared toward combating childhood obesity that threatens school age youngsters in the 16 communities the Commission serves. Giving time, effort and money back to the county residents is the main role of the Commission, and one of the Commission’s primary beneficiaries is the Carver Foundation of Norwalk, home to the Chelsea Cohen Fitness Academy and a recent recipient of a generous grant to support Carver’s Girl’s Development Program at the Carver Community Center. See the entire article about Sports Night in the New Haven Register here. Monday night at the Stamford Marriott, Mleczko Griswold was among six honorees being inducted into the Fairfield County Sports Hall of Fame. Mleckzo Griswold was being inducted into the Jackie Robinson Professional wing of the Hall of Fame along with former middleweight boxing champion Travis Simms. Other Hall of Fame inductees were John and Paul Kuczo into the J. Walter Kennedy Service Wing and Rashamel Jones and Claire Beth Tomasiewicz Nogay into the James O’Rourke Amateur Wing. Also honored were Ryan Boyle who was named the Chelsea Cohen Courage Award Winner as well as John Nash of GametimeCT and the Norwalk Hour, who was given the Bill Gonillo Local Media Award. Recipients from 16 local towns were also honored as Sportspersons of the Year from their individual towns. Carver is so grateful to the generous support and caring of the Commission and its longtime leader, Tom Chiappetta. Thank You! Newer PostCarver's Halloween Party this Friday just got better! Older PostCarver's Fifth Annual Golf Classic!